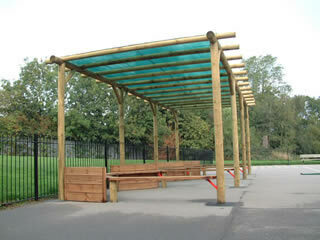 We provide wooden pergolas to meet a wide range of requirements. Our friendship wooden pergola is the perfect meeting place for a small group of friends to sit and chat. 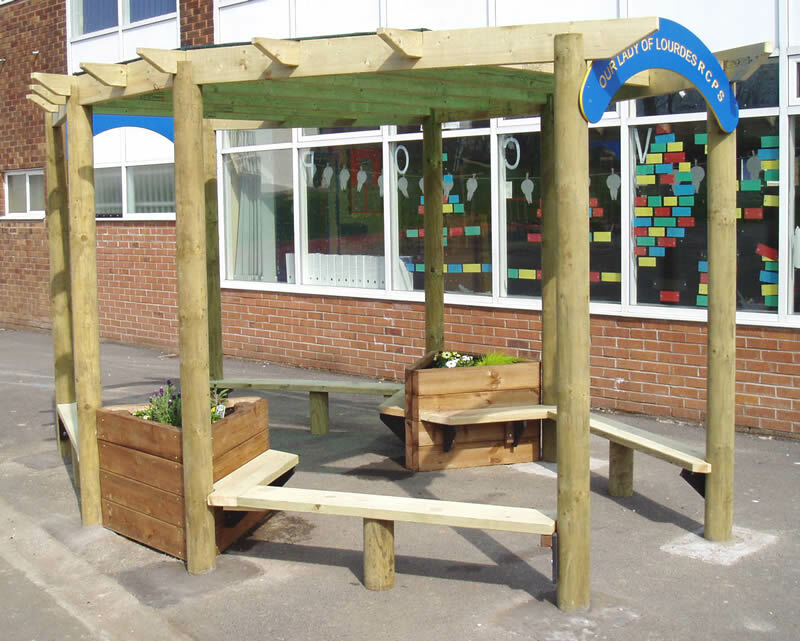 Triangular planters can be added to provide the opportunity for the children to plant seeds and watch them grow, as well as adding to the area aesthetically. 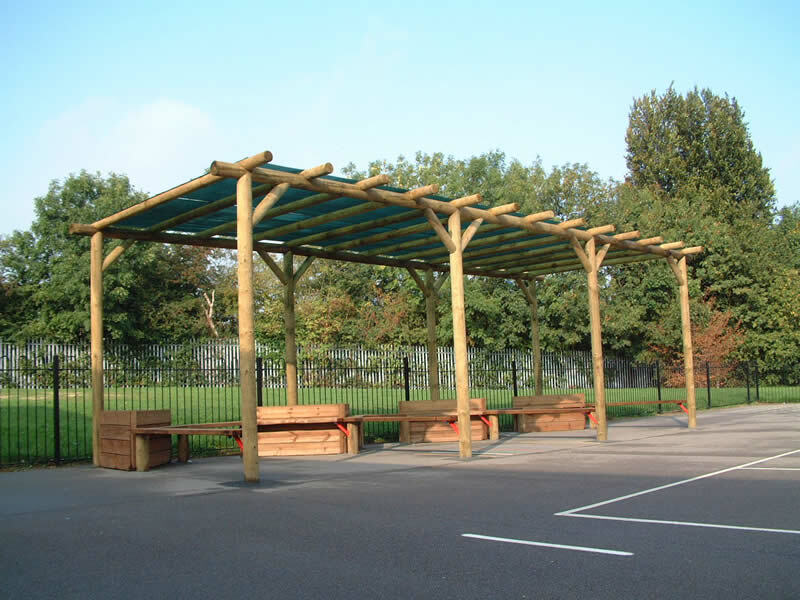 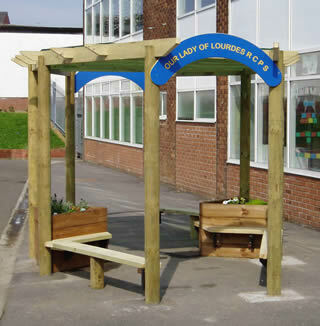 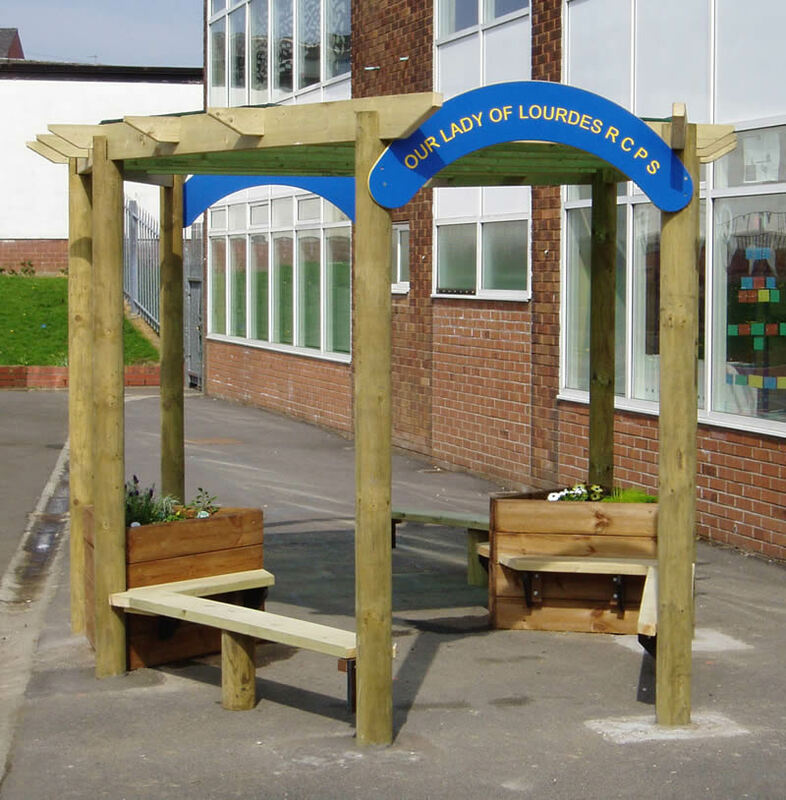 Alternatively we can produce large timber pergolas that will accommodate a whole class, with a UV filtering mesh in order to protect the children from the sun. 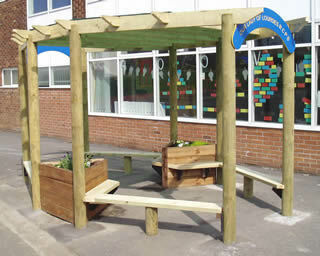 Bench seating and planters can be added as needed.